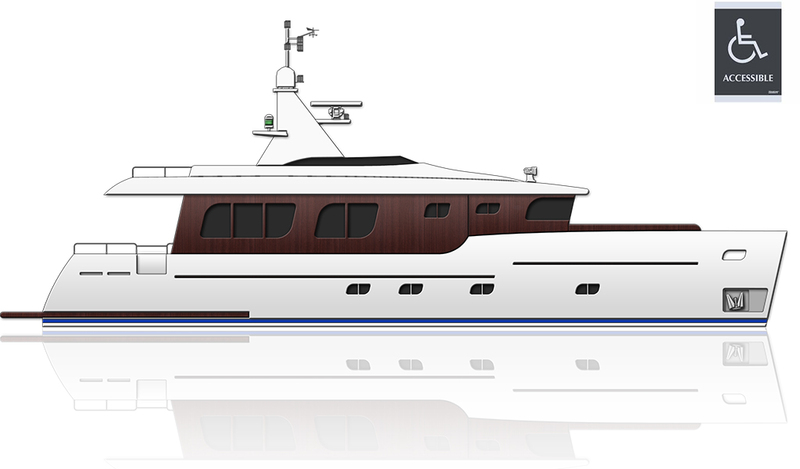 This elegant and stylish trawler is specially designed for disabled person to allow to reach exterior and interior areas with wheelchair. 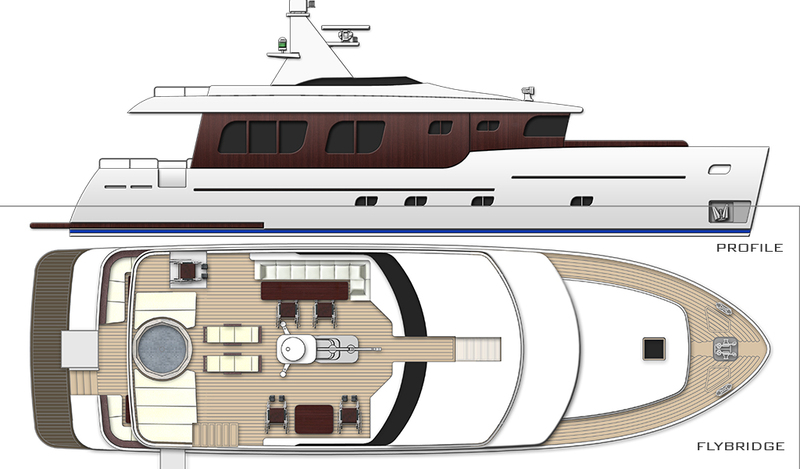 The aft deck includes an elevator to reach flybridge. 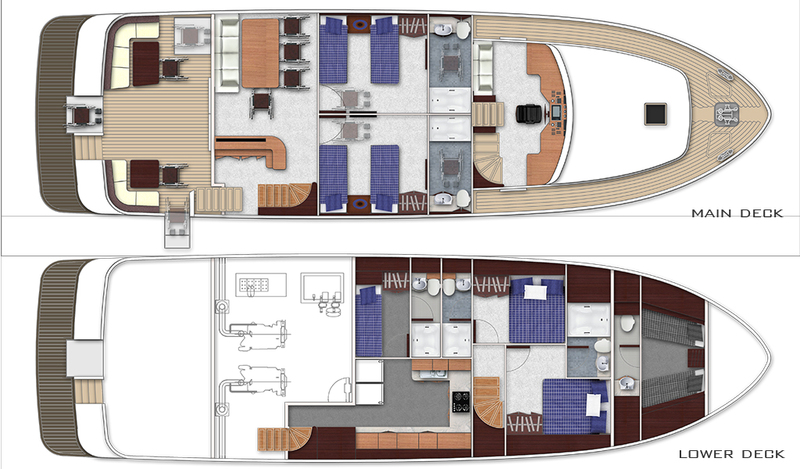 The saloon is full beamed comprising dining area and 2 guest cabins.